Watching a movie with your family in your living room can be some of the most memorable of moments. 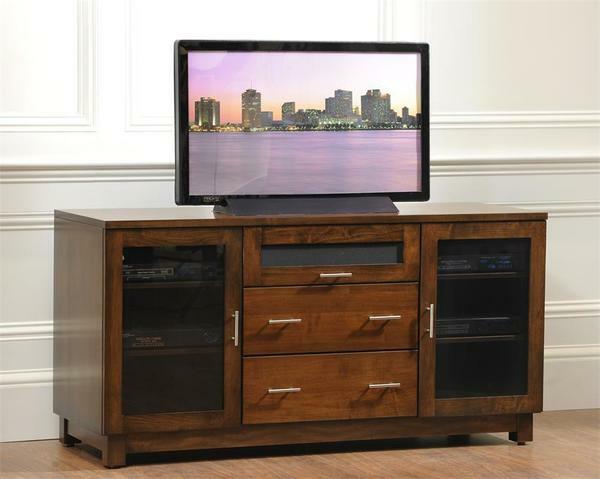 When you look up at your TV you can see this stunning Entertainment Center built by Amish Americans. Through the Two Glass Doors you can showcase all your DVDs and CDs with the included Drawer Dividers. Please look further into our wide selection of Furniture such as this lovely Amish Urban Entertainment Center. Also, consider looking into the option of purchasing a whole living room set, so your home can be the next home that is full of compliments. If you have any questions, please contact a helpful sales associate at 1-866-272-6773 or visit our Furniture Shop located in Sarasota, Florida.